Let’s time travel back about four years…my self-published parenting book was due to come out in September of 2010…I had no blog, no website, thought tweeting was the sound a bird made, had never been on Facebook and didn’t know the first thing about how to market or promote my book or myself. YIKES! Then I found out about Sandra Beckwith and her Build Book Buzz online class. I signed up and learned more in those 6 weeks than I could ever have thought was possible. But more importantly, I discovered that some people are just angels in disguise. Sandy was kind and patient and knowledgeable and delivered on her promises…always. The class was filled with personal interaction and hands-on assignments. And I know I will always have a friend who supports and encourages me. Sandy’s written quite a few books and she knows the business from publishing to press release, from using social media to creating a media kit. Welcome, Sandy! I really appreciate your being here. I’m so happy you agreed to participate. You bring a very important perspective to the Will Write for Cookies interview. My first favorite author was Carolyn Keene because she wrote the Nancy Drew series. My friends and I used to swap books on the school bus or in class so we all had access to as many of those wonderful mysteries as possible. Not long after that, I fell in love with Louisa May Alcott’s books. After I read Little Women, I wanted to write her a letter telling her how much I enjoyed that book. I was so sad when my mother told me that she died almost a hundred years ago! It took me a while to discover that a good editor can both improve your writing and teach you how to do it better the next time. I still pay attention to edits now, a long time after I became a professional writer. I mostly write on my desktop computer in my little 10 x 10 office on the first floor of my house but in the summer, I like to take my laptop to the screened back porch and work there. When I’m working on something longer than a blog post or short article, I like to have a cup of hot tea next to me. For whatever reason, it’s become part of the writing process for me. I’m most productive in the morning and block out that time for my writing. I often have to interview people for client writing assignments, so I schedule interviews for later in the day, protecting that morning time for the creative process. Me: Why do you write nonfiction? I majored in journalism and public relations in college simply because I enjoyed writing in high school. It was, and still is, a good fit for me. Writing books, newsletters, articles, blog posts, and training materials helps me learn about and introduce to the world interesting or innovative people or programs. I am always learning, thanks to my writing assignments. Sandy…is there anything else you would like to share? I’m grateful that for the most part, I really enjoy my work. In addition to writing, I teach authors how to promote their books. Creating training programs for them and working one-on-one with them is very rewarding – and I get to meet the most interesting and talented people, like you! Thanks, Sandy…right back at you. Sandra Beckwith has been writing for traditional and online publications since she sold her first magazine article while still a journalism student. Her articles in consumer and trade magazines; in corporate, sponsored, alumni, and nonprofit organization publications; and on websites and blogs help readers learn more about successful initiatives and interesting people, or about how to do something better, faster, or smarter. The author of Publicity for Nonprofits: Generating Media Exposure That Leads to Awareness, Growth, and Contributions (Kaplan Publishing, 2006); Streetwise Complete Publicity Plans: How to Create Publicity That Will Spark Media Exposure and Excitement (Adams Media 2003) and WHY CAN’T A MAN BE MORE LIKE A WOMAN? (Kensington 1995) and a past contributing editor of three trade journals, Sandy writes frequently on small business and marketing topics. Her ghostwriting projects have included books on global marketing and customer service, and articles and columns for business executives. 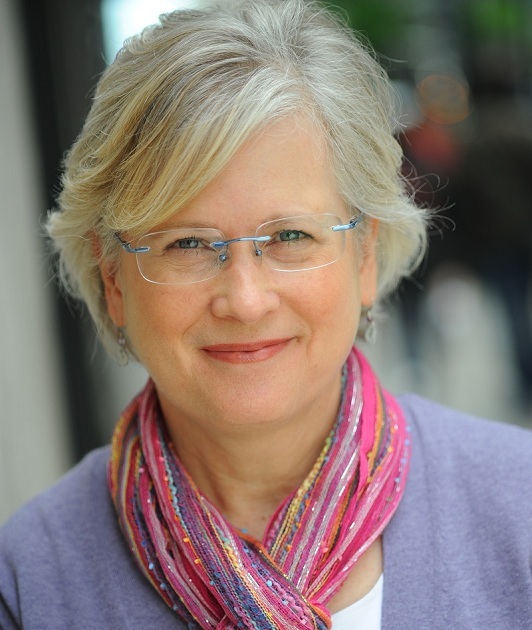 In addition to her work as a nonfiction writer, Sandy draws on her past experience as a national award-winning publicist to teach authors how to promote their books. 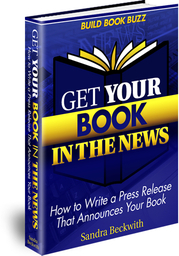 Subscribe to her free book marketing newsletter at http://buildbookbuzz.com. And she is also on the board of directors of the American Society of Journalists and Authors and the Raymond Simon Institute of Utica College…talk about a busy lady! One of my favorite parts of the interviews on Will Write for Cookies is the unveiling of the treat recipe…and you are all for a real treat today! Thank you so much, Sandy…this recipe will gladden the hearts of everyone…but it is especially good for those on a gluten-free diet. This is adapted from Rebecca Reilly’s Walnut Orange Biscotti in Gluten-Free Baking. Everybody who tries these loves them, even if they don’t have to eat gluten-free like I do. The good thing about this particular biscotti recipe is that the cookie isn’t super hard. Cream the butter until white. Add the sugar and beat until fluffy, about 5 min. Blend in the eggs, one at a time. Add the orange zest and vanilla, then stir in the nuts, chips, and cranberries. Slowly blend in the dry ingredients to form a soft dough. Cover and refrigerate the dough at least one hour, but preferably overnight. Preheat the oven to 375 degrees. Lightly grease 2 cookie sheets and line with parchment paper. Divide the dough into 3 equal pieces. Roll each piece into a log about 1.5 to 2 inches thick. Don’t worry that it looks too small, it will puff and flatten while baking. Place 2 logs on one cookie sheet, leaving lots of room in between, and put the 3rd log on the other sheet (I can usually put all 3 on one large sheet). Bake for 20 minutes. Remove the cookie sheets from the oven and let sit for 20-30 minutes. Slice the logs on a slight diagonal, about 3/4″ thick. Place the slices, cut side down, on the cookie sheets. Lower the oven temp to 350 degrees and bake the slices for 10-12 minutes. Cool on a cooling rack, and store in an airtight container. Enjoy! Yum! This recipe looks amazing, Sandy! Thank you so very much for stopping by. I know we all learned a lot from the interview and I, for one, plan to try this recipe for Thanksgiving. This entry was posted in Author Interviews, Book Marketing and Promotion, recipes, Sandra Beckwith, Will Write for Cookies and tagged Build Book Buzz, Gluten-Free Chocolate and Cranberry Biscotti, Marketing and Promotion for authors, Sandra Beckwith by viviankirkfield. Bookmark the permalink. Excellent post, Vivian. I enjoyed the overall interview with Sandra Beckwith, but I especially appreciated your tribute to her, and to those who helped you as the angels in disguise. 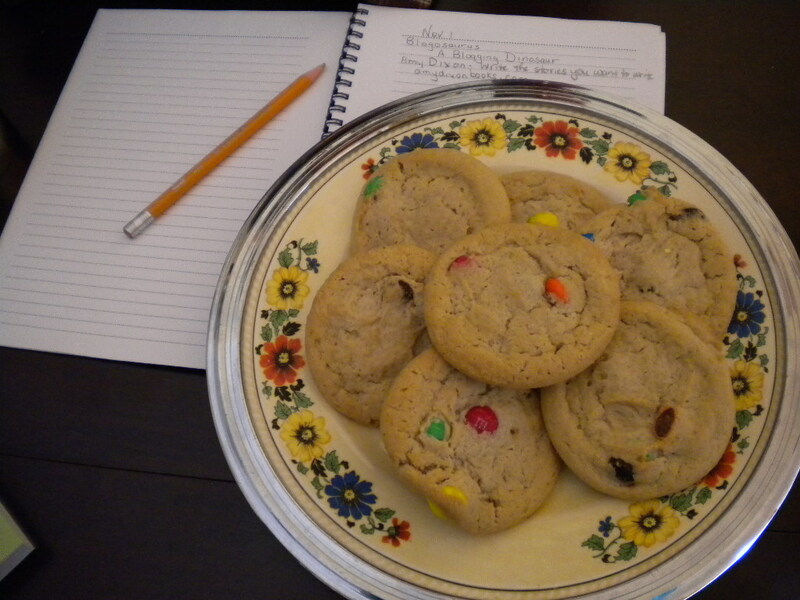 This is an encouraging and helpful post on so many levels…including the cookie recipe! Thanks so much, Marylin! You know, of course, that you…and your mom, are also angels in disguise. 🙂 Glad you enjoyed the post..Sandy is an awesome lady! Erik…you are another amazing individual! How is school going this year? I’m sure you never have a spare moment. 🙂 Are you excited for Susanna’s Halloweensie contest? Thanks so much for the kind words! Vivian is a wonderful person and I’m so glad I had a chance to work with her and get to know her better. I’m hoping that we’ll meet in person some day soon!